People in the audience react during the Global Citizen Festival: Mandela 100 at FNB Stadium on Dec. 2, 2018 in Johannesburg, South Africa. From gender equality to combating HIV/AIDS, these people are changing the world for the better. The UN’s Global Goals call for action on achieving gender equality, healthcare for all, and an end to extreme poverty. It’s thanks to people like these activists that the world is making progress — and they can be an inspiration to all of us. Join the movement by taking action here in support of the Global Goals. As well as some of the biggest global names in music and world leaders, Global Citizen Festival: Mandela 100, presented and hosted by the Motsepe Foundation, featured a multitude of inspirational activists from around the world. These activists have all dedicated themselves to changing the world for the better, and they shared their exceptional stories with the tens of thousands of Global Citizens that filled Johannesburg’s FNB Stadium on Sunday. Following in Tata Nelson Mandela’s footsteps, among these activists are people who have launched organisations that foster unity, peace, the empowerment of women, the welfare of children, and advancement of young people and the inclusion LGBTQ+ communities across the world. Here are a selection of some of the incredible activists who appeared on Sunday on the Global Citizen stage to urge each of us to continue taking action to end extreme poverty. 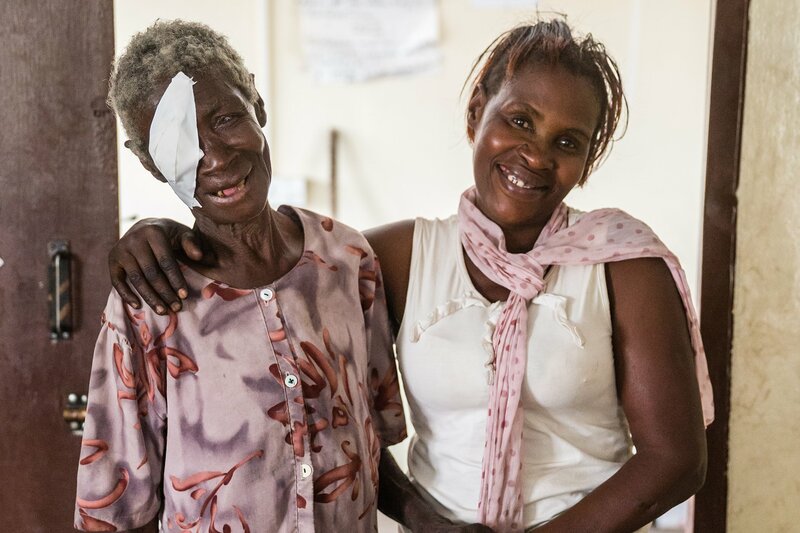 A community health worker from Zambia, Precious Mukelabai’s passion is teaching communities about trachoma, a neglected tropical disease (NTD) that is also the world’s leading cause of blindness through infection. But not enough people are aware of the danger, or how to prevent it. So Mukelabai, a subsistence farmer and volunteer health worker, took it upon herself to teach illiterate communities about the disease — such as in her hometown, Malumba, in Zambia. Mukelabai is the only person in her village who has a phone, which she uses to seek medical health for relatives and other people in her community. With it, she was able to put her auntie in touch with an eye surgeon, who operated and fixed her auntie’s condition in just 15 minutes. She added: “Thank you to Richard Branson and other donors who have just committed $105 million to fight trachoma, we can help many more people." It’s thanks to the efforts of women like Brenda Madumise-Pajibo that women’s rights across the world, and in every country, are finally coming to the foreground — and change is happening. Madumise-Pajibo, and other women like her across South Africa, were inspired by the terrible violence and discrimination that women and girls face on a daily basis to launch one of South Africa’s biggest citizen movements, #TotalShutDown. The movement saw women and girls march all across South Africa at the start of August, Women’s Month, in protest against gender-based violence. And, while progress is being made, there is a still a long way to go. “We cannot celebrate gender equality in South Africa when a woman is raped every 15 minutes and killed every four hours,” Madumise-Pajibo said. “Women across the country came together for the #TotalShutDown March to say: enough is enough! In my hands I have the a gender-based violence Summit Declaration,” she continued. "A summit that recognises and acknowledges that gender-based violence and femicide in South Africa is a crisis." "We need the government to end impunity against these crimes, fully implement laws and policies against violence, guarantee financing and access to support services, and provide legal aid to victims." She left the stage to echoing chants from the crowd of: "My body, not your crime scene. My body, not your crime scene. No means no, no means no!" Actress and activist Nomzamo Mbatha, onstage with Trevor Noah to talk about gender inequality and discrimination, told the crowd that what true freedom means to her was being able to achieve whatever one sets out to achieve — without any limitations. “Nelson Mandela always believed in and fought for the rights of women," she said. "Because true freedom cannot be achieved unless all women and girls are emancipated from all forms of oppression." But, she said, it's only when girls and women are empowered that they are able to truly take control of their own lives. "Tonight, we also celebrate courageous women like Albertina Sisulu, who was one of the most important political activists and stalwarts involved in the anti-Apartheid resistance in South Africa," she continued. 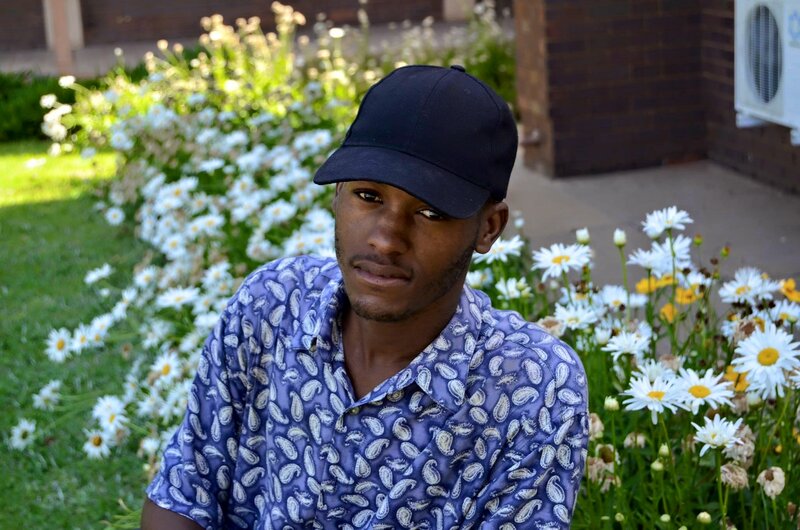 "Ma Sisulu truly was a Mother of our Nation." 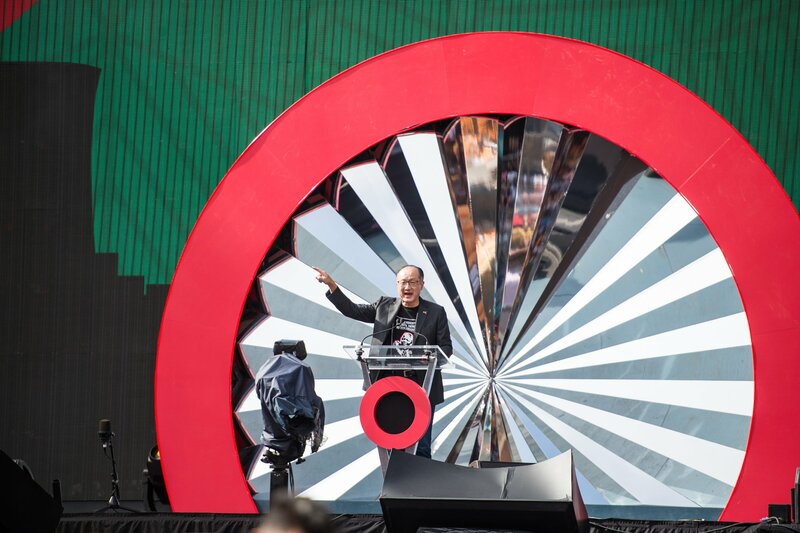 Jim Yong Kim speaks on stage during the Global Citizen Festival: Mandela 100 at FNB Stadium on Dec. 2, 2018 in Johannesburg, South Africa. While he’s now President of the World Bank, Dr. Jim Kim first came to South Africa as an activist working against HIV/AIDS in 2003 — when there were 25 million people in Africa living with HIV. He fought to help get everyone access to HIV/AIDS treatment, and there has now been huge progress across the continent. Earlier this year Dr. Kim launched the Human Capital Index, which ranks countries according to how well they invest in their citizens. He said that out of 157 countries on the index, South Africa ranks 126th. "This country, and this continent, us not yet ready to compete as it should in the economy of the future," he said on Sunday. “This is a crisis. And it's up to you to fix it." "The lack of investment in education and health is an emergecny and my generation has failed you," he continued. "I'm telling you, you can't trust anyone over 30 to determine your future." "Because if you put pressure on the leaders sitting up there... The sky's the limit." Danai Gurira speaks on stage during the Global Citizen Festival: Mandela 100 at FNB Stadium on Dec. 2, 2018 in Johannesburg, South Africa. Actress Danai Gurira’s new role as a UN Women Goodwill Ambassador has inspired her to step up her efforts for the rights of women and girls. Having starred in Black Panther, she helped give young women, especially young black women, the belief that they are beautiful and can achieve all that they wanted. "And as a result, Wakanda thrives," she said. 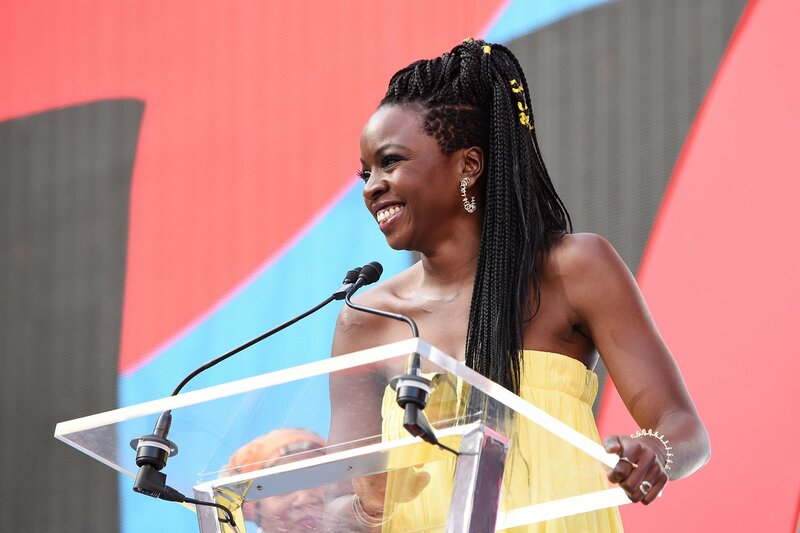 In her speech on Sunday, Gurira urged Global Citizens to keep taking action and raising their voices so that world leaders would fulfill their promise to tackle gender inequality, wherever it exists, and achieve a world where #SheIsEqual. "In my new role as UN Women Good Amb I commit to amplifying the voices of all those courageous women around the world who strive to make gender equality a reality — even at risk of their own lives." 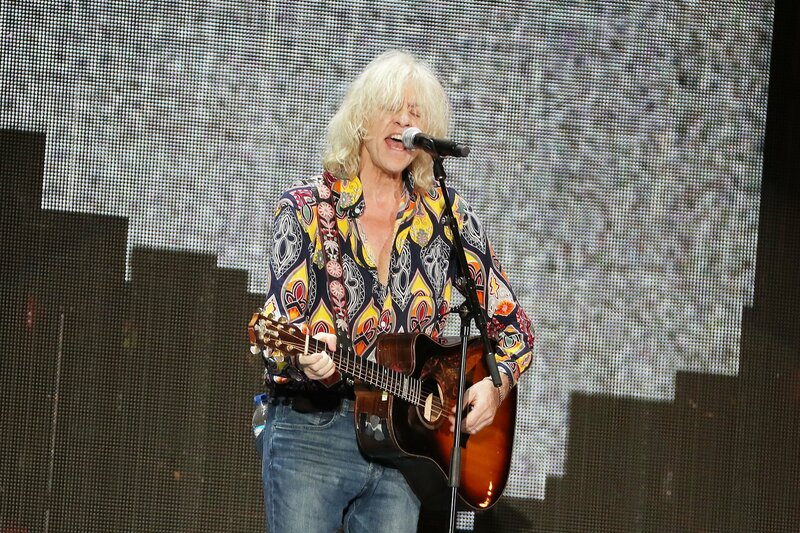 Bob Geldof, OBE, performs during the Global Citizen Festival: Mandela 100 at FNB Stadium on December 2, 2018 in Johannesburg, South Africa. Back in 1984, when 32 million people were dying of starvation due to famines that had hit their countries, musician, author, and activist Sir Bob Geldof brought the news to the world. He created Band Aid, Live Aid, the Africa Progress Panel, Live 8, and the 8 Mile Fund — all to help bring the voice of justice to the continent of Africa, to raise international awareness, and to raise funds for famine relief. Through his efforts, he helped convince world leaders to drop $42 billion of unjust debt, to increase aid, and to renegotiate unfavourable trade deals. Now, Geldof — who was also a close personal friend of Nelson Mandela — works to help uplift the poor and voiceless through the creation of a $200 billion private equity Africa investment fund. "We're celebrating Madiba 100th birthday, but almost five years ago, Nelson Mandela died, the world wept, and history stopped and knelt and bowed its head, and we were all bereft," he said. "We wept because we had never known his like." "And saw in him something of what we might be had we but the courage, the elegance, the humanity, the dignity, the humility, the humanity, the kindness, the magnanimity, the hurt, the pity, the intelligence, the warmth, the fun, the joy, the compassion of the complete person," Geldof said. "Nelson Mandela was the total human being. He wasn't a super man. He was a man... But what a man, a proper man." "I came to know this giant, I think we were friends, I flatter myself that we were," he continued. "He had, of course, a razor-sharp mind. He was Africa's first black lawyer. He was a revolutionary leader. He was president. Creator of his own country, a thinker, but he didn't much like arguing." "How great, ladies and gentleman, how great a sacrifice must it have been to be so engaged and consumed with the thril of life, and to understand that that same life you lived and loved so much was not worth a single minute if neither you nor others were permitted to be free to live it," he said. "Rather, sacrifice that life that betray what you understand yourself to be, and that that self, that self, is meaningless. It has no value if it is to be unfree."